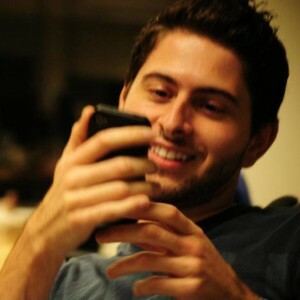 This interview with PostRocket co-founder Mike Maghsoudi is the seventh in an ongoing series. I will continue to search for the Holy Grail of online business success by tapping into where the industry’s elite have been, what makes them tick and how they got to where they are today. Like you, I’m always on the lookout for good tools to give me an edge. I’ve tried a ton of them — some good and some bad. But there are a few that I’m using and watching very closely. PostRocket is one of those tools. It’s what first drew me in to their product. That product, in its current form, is also quite simple. PostRocket automatically publishes your Facebook content — with an emphasis on imagery — at a time when your Fans are most likely to see it. Dig the concept, but it’s clear they’re only getting started. I can’t wait to see where they go with it. I’m also a big fan of the PostRocket blog, which is written by our lucky interview subject, Mike Maghsoudi. His content is smart and stats based, but easy to understand (read this, this or this). The blog is one of a pocket out there that regularly attracts my attention. When you keep digging into this company, they just get more and more interesting. Mike, at 21 years-old, is a co-founder but the second oldest in the company. PostRocket, which has been around for a year and a half, isn’t even these guys’ first gigs. They began as organic NFO consultants for clients that included celebrities and big brands. The best is yet to come? Damn right. Jon: Tell me about PostRocket. What makes it unique? Mike: PostRocket is a smart posting tool for Facebook pages that’s designed to maximize reach in the News Feed. While there are lots of publishing tools that make it easy to schedule posts on Facebook, PostRocket automatically schedules posts for the best time based on your fans (when the most fans are likely to be online and see your post). We also have built other features to increase reach and engagement, including QuickSwitch — which allows you to post a link as a photo from the article and the title and URL as the body of the post — all with just one click. We’ve seen so many Pages post links this way to improve performance, including top Facebook Marketing experts like Mari Smith, so we figured it was a no-brainer to simplify the process in our product. Jon: What were you doing before PostRocket, and what was the inspiration behind the company? Mike: Before PostRocket, my team and I were working as Facebook marketing (Newsfeed Optimization) consultants for a few celebrities and big brands. Pretty quickly, we realized our methods and strategies were working extremely well, and we had more work than we could handle. We had to hire a bunch of interns to help us handle the workload, and finally decided that it would be best to turn our consulting strategies into an actual product that could be accessible to any Facebook Page owner. Jon: I like hearing the stories about how companies came together, including the struggles, failures and transformations. I know that the company is still young, but tell me about the early days of the company, as it came together. Mike: My team and I started working together about a year and a half ago. When we started working together, we weren’t actually working on anything Facebook-related. We wanted to solve the very tough problem of customer loyalty and retention for brick-and-mortar businesses. Our work with these small business owners led us to some part-time consulting gigs as social media consultants, and with a little bit of luck, we ended up working with some large brands and celebrities. It wasn’t struggle-free by any means, as we made some mistakes that led to cash-flow problems in our early days — and even a couple eviction notices (that we thankfully resolved without losing the roof over our head). Jon: How many people make up the PostRocket team? How does the company function (roles, virtual vs. on site, etc.)? Mike: We’re a team of five young hustlers who live and work together. At 21, I’m the second oldest on the team — and I see our age as an advantage. Unlike most people in the industry, we grew up using Facebook. We’re the target market that most brands are trying to reach and engage on Facebook. In regard to how we function, we all do a little bit of everything, but generally stick to our strengths. My primary focus is marketing and building a community around our product/blog. Jon: What’s the future of PostRocket? Jon: What was your first exposure to Facebook? How about your first business efforts using Facebook? Mike: My first exposure to Facebook was when I joined back in November of 2006 as a curious high school student. At the time, I remember thinking it was a much better version of Myspace. Like most people at the time, I didn’t think of Facebook as a business or as a marketing channel for businesses — it was just a cool site to stay connected with friends. Consulting was my first business experience on Facebook. I’ve been a numbers guy all my life, and I was amazed by the sheer amount of data Facebook provides pages via Insights. I knew if my team and I could make sense of the data, we’d be able to provide incredible value for businesses. This is what ultimately led us to building PostRocket. Jon: I love the PostRocket blog. You have the courage to go against the grain (and I also agree with you regularly, which makes you right). Tell me about the strategy behind starting a blog to support a product. Mike: We knew from the beginning that we were heading into what was unfamiliar territory for most marketers and business owners who had a Facebook Page. We knew we’d have to educate Page owners about News Feed Optimization and the fact that most people don’t know how to market their page properly on Facebook. When you tell people they’re doing something wrong, they’re not going to be happy about it initially — but at this point I feel like most people appreciate our efforts to help them improve their Facebook Pages. We’ve been lucky to build a great community around our blog in just a few short months — like you have here on your blog. Jon: I feel like there is a long list of myths and exaggerations about Facebook marketing that most brands are pounding into the ground. What do you feel is the biggest of these? Mike: I think the worst myth out there is that EdgeRank is bad for marketers. As a Facebook Page marketer, I’m so happy that EdgeRank exists. It gives Pages an opportunity to improve their reach based on how much value they provide to their fans (which is measured by engagement). It also helps brands reach their most loyal fans who weren’t online at the time they published their post. It shocks me that people never talk about how some fans will see their post five or even 10 hours after it was posted because of EdgeRank. This NEVER happens on Twitter! What most people don’t understand is that they don’t reach 100% of their fans and followers on other sites like Twitter, Pinterest and Instagram. Think about it — what percentage of tweets do you think you actually see? 5%? 10%? If you’re not on Twitter at the precise moment when someone tweets, you’re unlikely to see their tweet. I think it’s unfair that Facebook gets a bad rep from angry Page owners when they’re actually being helpful and transparent by sharing tons of data. Thank you, Mike, for taking the time for this interview. I look forward to seeing where you guys take PostRocket! Make sure you try out PostRocket. There’s a 30-day free trial as well as a completely free option after the 30 days. Reach your Fans when they’re online!